Few subjects have been more misunderstood that than the tithe. Tithing was something established with the Israelites under the Mosaic Law. 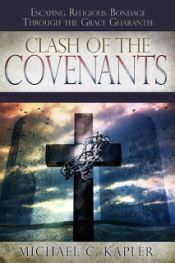 It has been one of those old covenant laws that religion has carried over to the new covenant but completely twisted into something entirely different. The tithe was never about giving a tenth of all your income, it was setup for 11 of the Israeli tribes to tithe food for the 12th tribe – the tribe of the Levites (priests) – who had not been given the inheritance of land. The "storehouse" is not a bank or a church. It was a place to store food. This begins a 4-part series. Thanks Sarcasm_Mike. This series will continue for another 2 or 3 weeks, and we hope to bring out some other great biblical truths, and dispel falsehoods about tithing as well. Yep indeed, Howard, we're going to talk a bit more about the Levites and a few other things as well. You're right --- the Levites had no "inheritance," as God called it, while the other 11 tribes did have an inheritance. The inheritance included land and animals, so the 11 tribes would be able to feed themselves with crops and other food. God wanted the Levites to be devoted to the duties that he had given them under the Old Covenant, which meant that he didn't want them to have to work to raise their own food, so he had the other 11 tribes bring tithes so that they could eat. That's really what the original essence of the tithes was all about. Indeed, I just got done posting a comment on Facebook saying that nobody today actually teaches (or follows) the true biblical tithe. The church has stolen the word "tithe," all the while ignoring all of the rest of what the scriptures actually had to say about the tithes. Indeed, Howard, when they say "tithes and offerings," the concept of "offerings" comes from the same place as the concept of the tithes: The Old Covenant. In the church, there is no such carryover of either tithes or offerings. We simply give as our hearts lead us, cheerfully and not under coercion or obligation, and definitely not for the purpose of making preachers wealthy.